What Conditions Have Symptoms Similar to Dementia? When an older loved one begins exhibiting confusion, memory loss, or other signs of cognitive impairment, family members might automatically presume the senior is developing dementia. However, there are many other reasons a senior might display cognitive symptoms that are commonly treatable. A thorough examination by a healthcare provider can determine the underlying cause. Here are a few conditions that display symptoms similar to those of dementia. Urinary tract infections are common in older adults. However, seniors often don’t experience the symptoms associated with the infection. They may not develop a fever, have discomfort during urination, or experience a frequent urge to void. Instead, they may seem confused or have difficulty focusing. They might also be incontinent, agitated, restless, or delusional. Some older adults also feel more tired than usual. A quick urine test can detect the infection and the bacteria causing it. A course of antibiotics typically remedies the problem. Some seniors may require constant supervision to ensure they take their medications correctly. If your senior loved one needs hourly or live-in care, Lincoln Home Care Assistance can help. Our caregivers can assist with exercise and mobility, prepare nutritious meals, provide timely medication reminders, and help with a wide array of other important daily tasks. Normal pressure hydrocephalus (NPH) develops when spinal fluid is unable to circulate through the brain. The fluid remains in the brain and causes increased intracranial pressure and swelling. The trauma interferes with neuron communication, which leads to cognitive impairment. Draining the fluid reverses the symptoms. NPH may occur due to external head trauma, internal hemorrhaging, or infections that enter the brain. 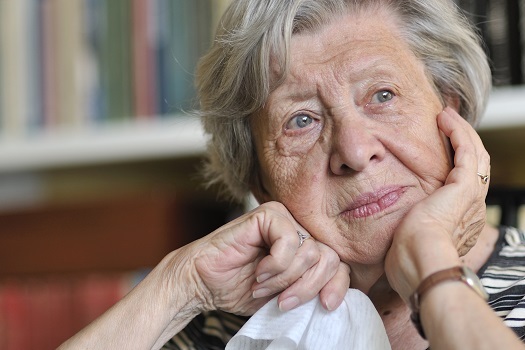 Statistics indicate that 10 percent of older adults experience depression. The illness often causes confusion, generalized fatigue, and memory loss. Seniors living with the disorder often experience relief by taking prescription medications, increasing physical activity, and adopting techniques to minimize physical stress. Vitamin B12 and other B vitamins play a major role in neuron and nerve function. Many seniors are often deficient in B12 secondary to an inability to absorb the nutrient. Thus, a senior may appear to have dementia. The deficiency is particularly prominent in people who abuse alcohol. Blood tests determine if an older adult is lacking B complex vitamins. Oral supplementation or routine injections can correct the issue and reverse associated cognitive problems. Vitamin deficiencies can occur when seniors have mobility issues or health conditions that make it difficult to plan and prepare nutritious meals on their own. Families who need help caring for a senior loved one can turn to Home Care Assistance, a leading provider of Lincoln in-home care. Services available in our customizable care plans include meal prep, mental and social stimulation, assistance with personal hygiene tasks, and much more. Seniors may experience hypothyroidism or hyperthyroidism. As the conditions develop slowly over time, symptoms may mimic dementia. An underactive thyroid leads to an inability to learn and short-term memory loss. However, the condition is easily treated with medication. An abnormally overactive thyroid commonly causes nervousness and difficulty concentrating. Seniors may feel like they’re out of touch with reality. The disorder is often treated with radiation or surgical intervention. If your loved one is ultimately diagnosed with dementia, he or she can still live at home in safety and comfort with the help of a professional caregiver. Lincoln elderly home care professionals can be a wonderful boon to seniors. Whether they require around-the-clock supervision or just need assistance with exercise and household tasks a few days a week, seniors can enjoy a higher quality of life with the help of trusted in-home caregivers. Reach out to us at Home Care Assistance if you need compassionate, professional care for your loved one. Call one of our dedicated Care Managers today at 916.226.3737 to learn about the high quality of our in-home dementia care services.